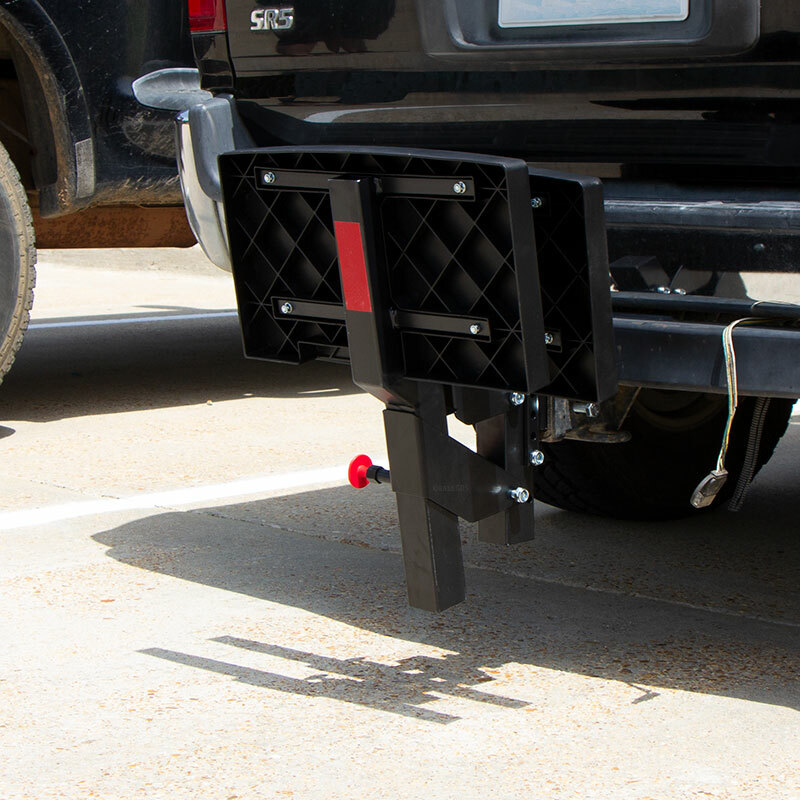 The perfect solution for loading your hard-working dogs. 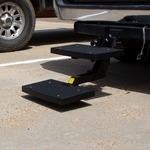 The Solvit PupSTEP Hitch Step is the perfect solution for loading your hard-working dogs into your vehicle. 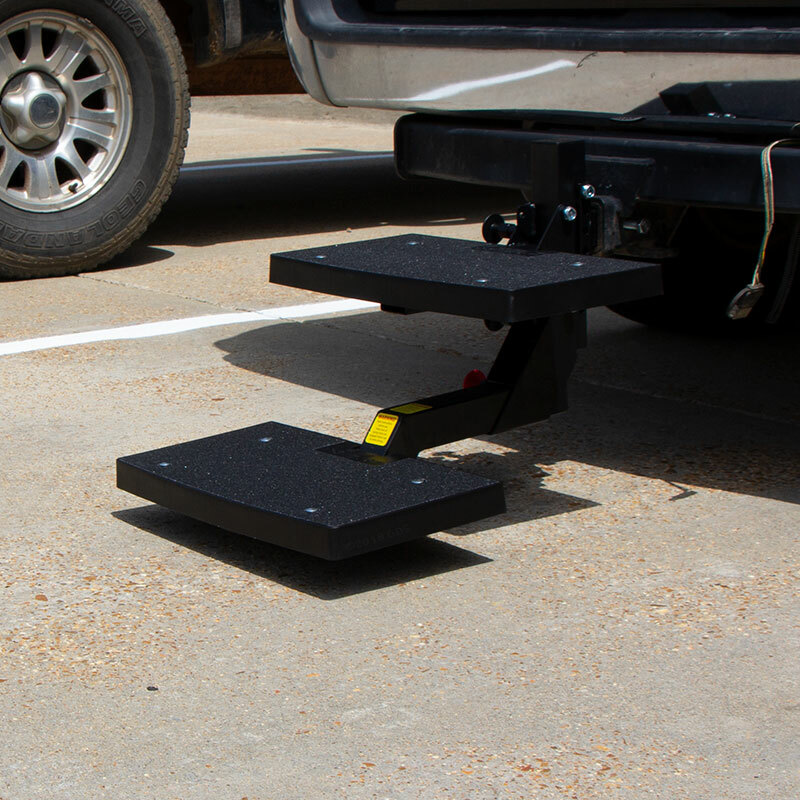 This alternative to ramps attaches directly to your trailer hitch. The patent-pending, two-step design makes it easy for your dog to climb up and down. Folds easily out of the way when not in use. 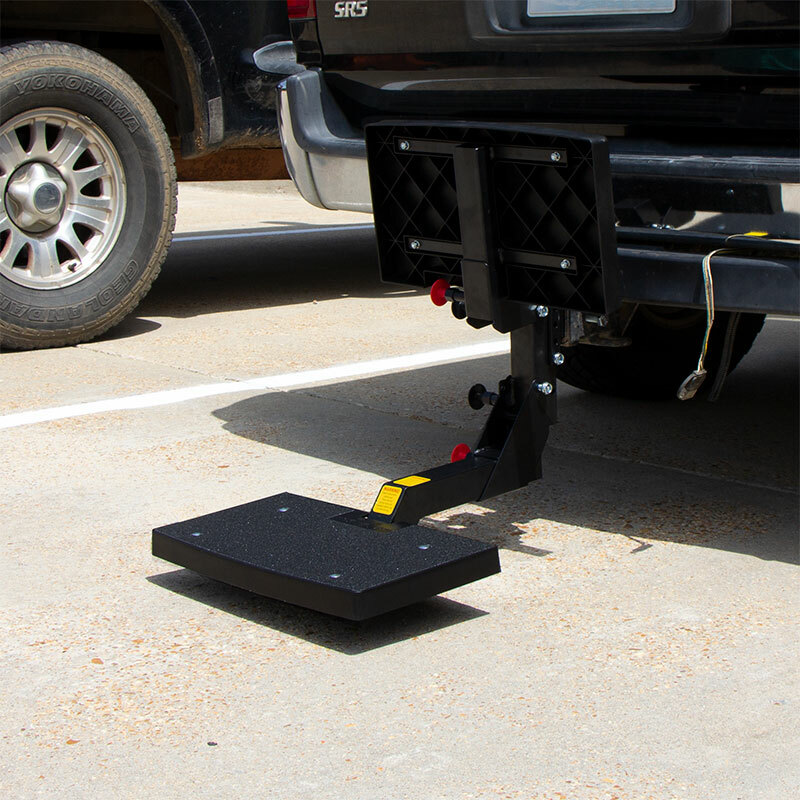 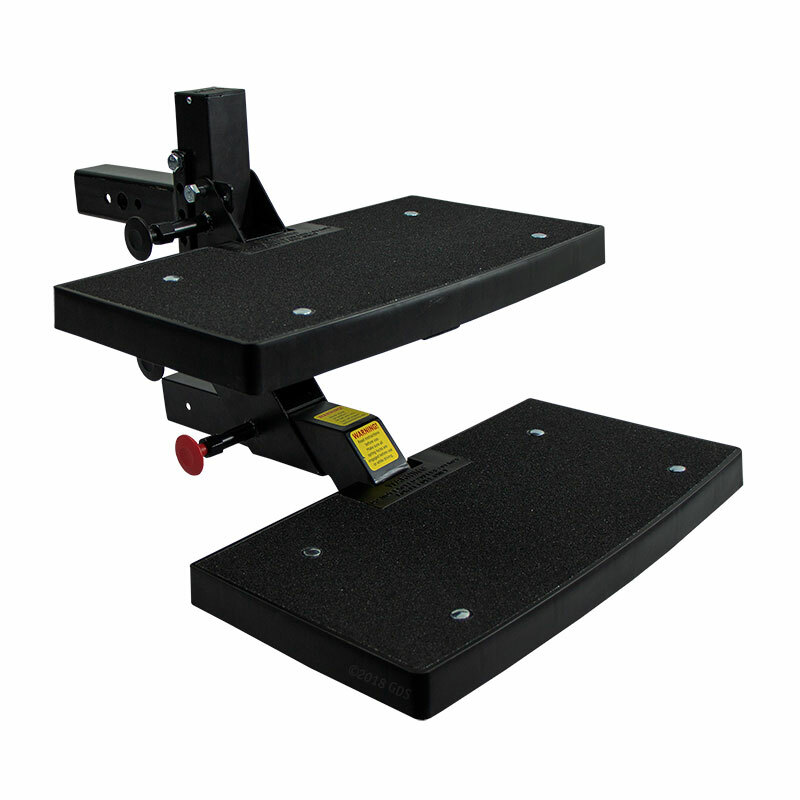 The PupSTEP installs on any 2" vehicle hitch receiver and can be adjusted to fit the heights of different vehicles. 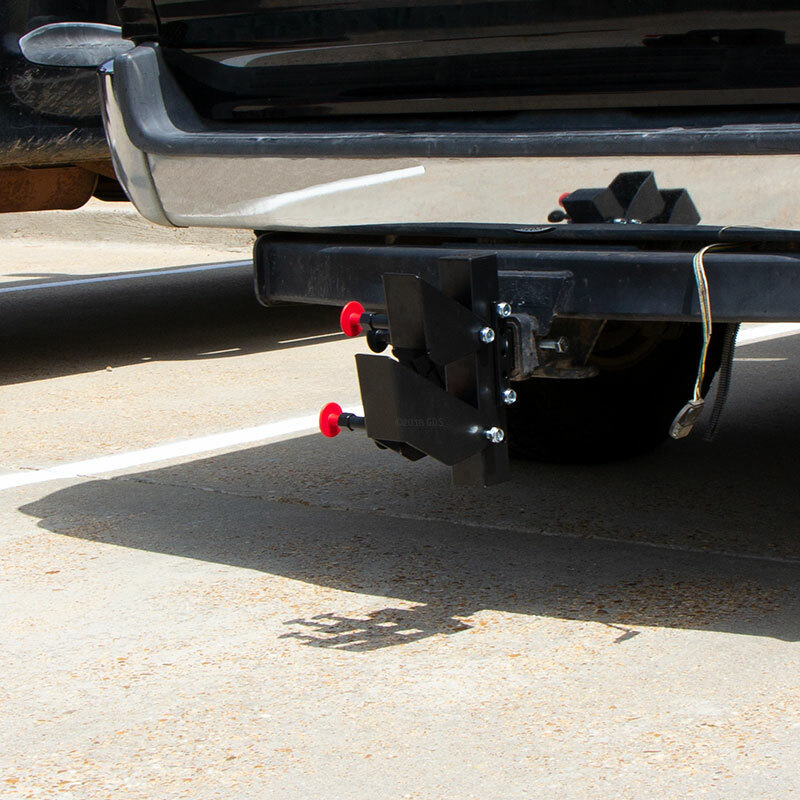 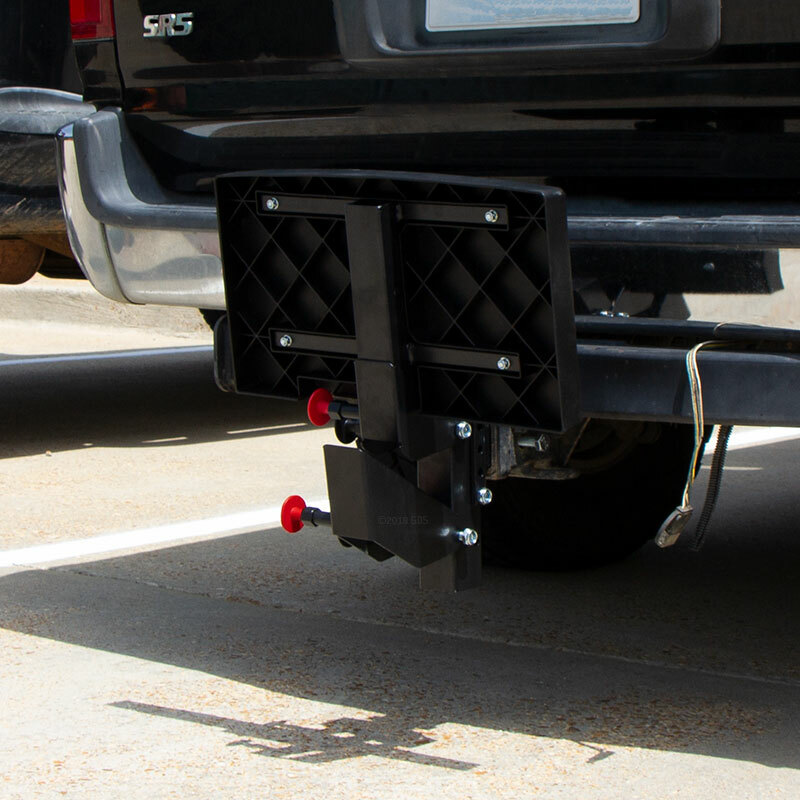 NOTE: A hitch extension (not included) is required for trucks and vehicles with tailgates. Vertical space between steps is 8"